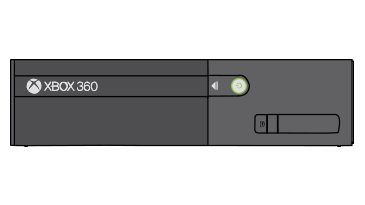 The light in the centre of your Xbox 360 console power button is blinking red. 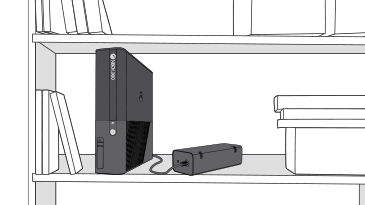 A blinking red light on the power button means that your console doesn’t have enough ventilation. The red light will continue to blink until the console cools down. To fix this issue, let your console cool down by turning it off if it hasn’t already done so automatically. Then wait for the red light on the power button to stop blinking before turning the console back on. When you turn on the console, you might see a message explaining why it shut down and steps you can take to prevent the problem in the future. Turn off your console and move it to an open, well-ventilated area, away from all other electronic devices. Then turn the console back on. Do not put the console in an enclosed space. Put it in an open area with lots of ventilation. Do not stack other electronic devices on top of, underneath or against the sides of your console. Make sure the console and its power supply are on a hard surface. Do not put the console on something soft (such as a bed, sofa or rug). If your console continues to shut down because there’s not enough ventilation, even though it’s in a cool, well-ventilated location, your console might need to be repaired. See Getting your Xbox console or Kinect sensor serviced.